Protect your product and drive sales. 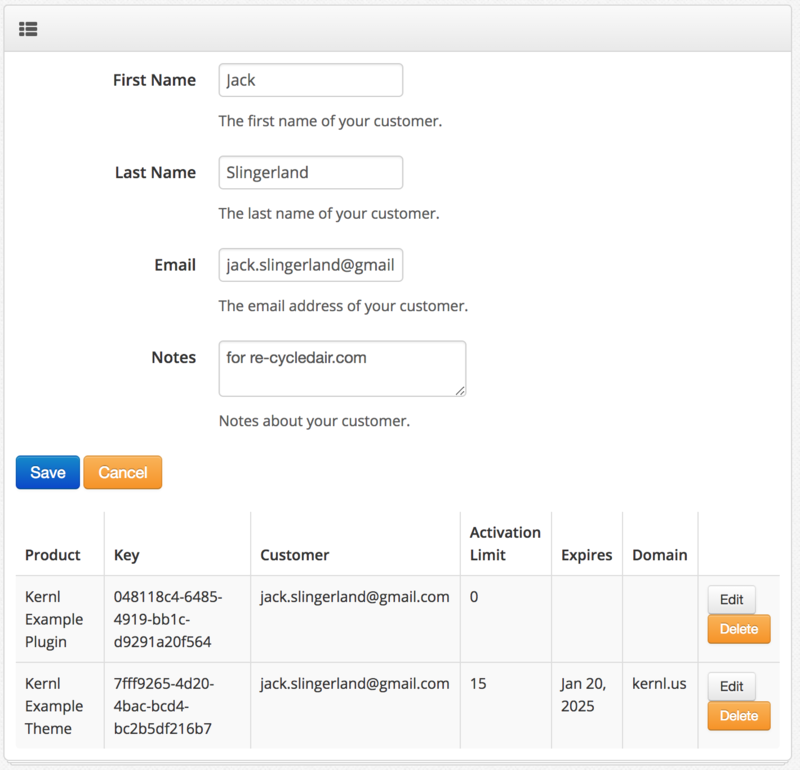 Kernl WordPress License Management allows you to restrict who is downloading your plugin or theme updates. This functionality is built directly in to our update software. 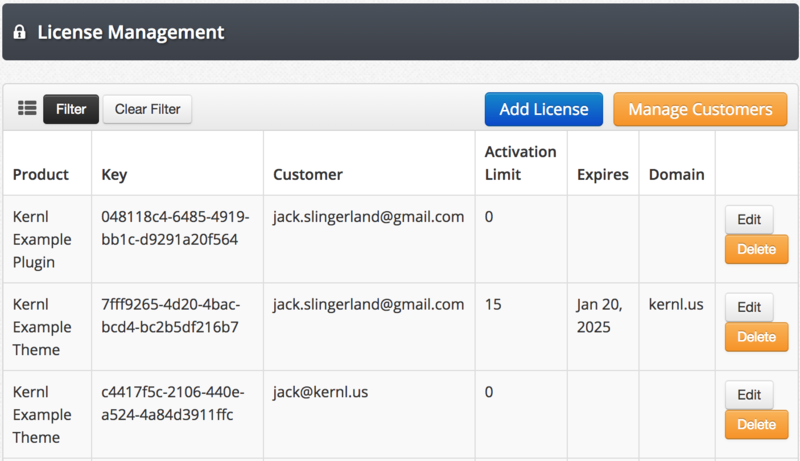 Kernl WordPress License Management lets you associate multiple licenses to customers, only allow updates up to a specific version, restrict by domain, restrict by download count, and restrict by date. 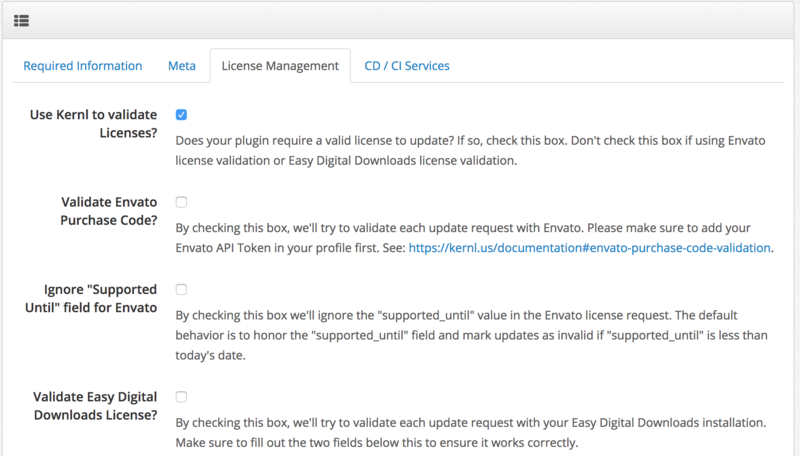 We also support validation with Envato licenses and Easy Digital Downloads licenses. If you'd prefer to do things programatically, our License Management API is just what you need!